The inviting facade of a traditional haveli welcomes you to the Rural Museum located in the Punjab Agricultural University. Founded by Dr M S Randhawa, the celebrated civil servant, this museum displays a large number of handicrafts, household implements, and traditional musical instruments. Clothes and jewellery from rural Punjab, as well as, mannequins enacting scenes from daily life, are amongst the other attractions housed here. Amaltas Tiger Safari, placed on Ludhiana-Jalandhar Highway (GT Road) is located about 6 km from the main Ludhiana city. Covering the total area of about 25 acres, this zoo is delighting tourists since 1993. 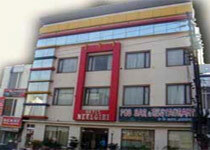 Amaltas Tiger Safari, placed on Ludhiana-Jalandhar Highway (GT Road) is located about 6 km from the main Ludhiana city. Covering the total area of about 25 acres, this zoo is delighting tourists since 1993. Apart from the tigers, the zoo houses many other animals such as sambhars, black bucks, rabbits, peacocks an so on. Witnessing the royal tigers majestically roaming about in the jungle is really a thrilling experience. The Wild Life Department of Punjab has given the contract to a private company to conduct tiger safaris. They have two buses that carry the tourists into the dense forest where we get a chance to watch the king of the jungle wandering about freely and bathing in water pools. Mostly the tigers sit lazily or sleep in shelter trying to avoid the rays of the sun. This is because they get enough food here. At 5 o’ clock in the evening the dinner time bell is heard when tigers are served with fresh raw meat. The smell of the meat attracts the tigers to the enclosures where they are locked for the night. The safari remains closed on Mondays when it’s the time for cleaning the two watering holes. Nehru Rose Garden, established in the year 1967 is one of the most verdurous and greenest spaces in the vicinity of Ludhiana. Inaugurated by GainiZailSingh , then CM , Punjab on 14th Nov’ 1972, Sprawling over an all embracing area of 27 acres, this is the largest rose garden in entire Asia continent. Nehru Rose Garden is the proud owner of the largest collection of rose flowers numbering 17000 plants that represent about 1600 different varieties of rose species. This rose garden, a floral dream come true is a paradise personified in its real sense. 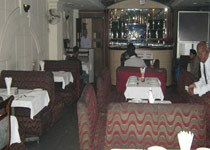 This is one of the most sought after tourist attractions of Ludhiana and the perfect hang out with family and friends. The extensive rose garden is also ornamented with a number of fountains set up at regular intervals. These fountains are illuminated at nights and the water dances to the tunes of contemporary popular songs. Nehru Rose Garden hosts the Annual Rose Festival which is honored to be registered in the list of national fairs and festivals. Rose Festival organized at Nehru Rose Garden is one of the major cultural events of the state and beckons thousands of tourists and nature lovers from every quarter of globe. Lush green landscapes embroidered with plethora of colorful rose flowers, air filled with the scent of blossoming rosebuds, musical fountains embellished with twinkling lights and the spectacular and eye catching tableau the entire sequence creates renders this place the Eden incarnated. Nehru Rose Garden is a must visit picnic spot in Ludhiana and it is such a sublime experience to be there that you would never ever want to go back. Run by Municipal Corporation, Ludhiana ,Nehru Planetarium situated next to Rose Garden, Ludhiana play shows on solar system, moon, stars and other astronomical objects. Maharaja Ranjit Singh War Museum, a tribute to the gallant soldiers of Punjab is located near Hotel Amaltas, about 5 KM from Ludhiana Railway Station on GT Road, Ludhiana – Amritsar Highway (NH-1). 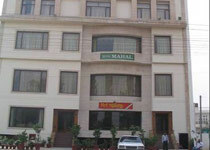 Instituted in the year 1999 this museum of international level is equipped with History Gallery, War Heroes Gallery, Uniforms Gallery, Air Force and Navy Gallery, Signal and Medical Corps Gallery, Kargil Gallery and an Audio Visual Theatre. At the very entrance, a huge statue of Maharaja Ranjit Singh in the sitting posture is placed on a magnificent throne. Beside this statue we can see many tanks, anti-aircraft gun, apec car, car scout, an old sukhoi fighter aircraft and a model of the ins vikrant. In the entrance hall, the portraits of those Punjabis, who have been awarded with several national honors like the Paramvir Chakra, Mahavir Chakra and Vir Chakra, are placed. Various portraits of generals, admirals, and air chief marshals belonging to Punjab are also kept here. The museum has several galleries. A huge gallery exhibits various uniforms of the British era Indian army, navy and air force. They also display the different medals, stripes and ranks worn by the officials. Another gallery displays the portraits of Punjab’s army men who fought in the three Indian wars in 1948, 1965 and 1971. There are six busts placed in the gallery of officers who were honored with Victoria Cross. The light and sound show is yet another attraction of this museum. This show relates the story of independence struggle of India and the role played by the Punjabis in it. Another light and sound show entitled ‘A Sonnet Lumiere’ has been installed at the War Museum on the permanent basis to perpetuate the memory of those brave soldiers who sacrificed their lives in the freedom struggle of India. Kargil Garaly covers the complete story of Kargil war. Historic Gallery contains Diorama of 1st and 2nd battles of Panipat, the Anglo Sikh War (Battle of Aliwal) and also mythological and historical Rama Ravna Yudhha, Alexander and Porus, Maharaja Sher Singh, also Sardar Baghel Singh and his great companions. The Gallery displays the portraits of Nawab Kapur Singh, Sardar Jassa Singh Ahluwalia, Talking Soldiers of Krishna, Gupta, Mughal, Sikh epoch etc. They have also installed Muti-Media kiosks that provide detailed information. Hardy’s World, a galaxy of boundless fun and amusement is located just outside the city about 7 kilometers away on the Ludhiana Jalandhar highway. Hardy’s World, a galaxy of boundless fun and amusement is located just outside the city about 7 kilometers away on the Ludhiana Jalandhar highway. Hardy’s World, India’s third largest indoor snow city is an amusement park and a water city that attracts both kids and adults. Packed with a number of exciting rides both dry and wet, this theme park offers an unlimited entertainment to everyone. 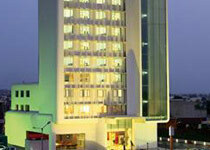 This is the perfect weekend getaway for the people of Ludhiana. It relieves you from all the every day worries and delivers you completely rejuvenated and refreshed. This is an Essel World or Wonder La reincarnated, especially for the kids and fun loving people of Ludhiana. Gurdwara Manji Sahib Alamgir, situated at Alamgir Village about 11 km from Ludhiana, is one of the most revered pilgrim destinations of the state of Punjab. Alamgir is the very village where Guru Gobind Singh had alighted in the search of water at the end of an excursion full of hardships. As he didn’t find any drinking water even here, he shot an arrow in the ground and miraculously created the present day ‘Tirsar Tank’. Manji Sahib Gurdwara is an imposing six storied edifice erected in the holy memory of Guru Gobind Singh who had stayed here for some days. He had arrived here in a palanquin in the garb of Pir of Uchch in order to conceal himself from Mughal enemies. As the Guru had arrived in a palanquin, i.e. Manji, this Gurdwara is named Manji Sahib Gurdwara. That palanquin is still preserved in this scared shrine. This Gurdwara is a symbol of religious harmony as Guru Gobind Singh was given protection by two of his Muslim devotees Nabi Khan and Ghani Khan against Muslim Army here. He was gifted a horse by a resident of Alamgir; Bhai Naudha and so Guru Gobind Singh discarded the palanquin and escaped on the horse from there saving himself from the army of Aurangzeb. The Clock Tower, popularly reckoned as Ghanta Ghar, is the icon of Ludhiana metropolitan. Inaugurated on October 19, 1906 by Sir Charles Montgomery; the then Lt- Governor of Punjab and Deewan Tek Chand; the then Deputy Commissioner – Ludhiana, the Victoria Memorial Clock Tower has today become the prime landmark and the representative emblem of the city. This clock tower had been erected marking the occasion of the silver jubilee of Queen Victoria’s reign. Victoria Memorial Clock Tower had be renamed as ‘Bhagwan Mahavir Clock Tower’ by Giani Zail Singh; the then chief minister of the state, giving in to the insistence of the Jain community of Ludhiana. However, all these names are now forgotten and the clock tower is only known by the name Ghanta Ghar. Located near the railway station in Chaura Bazar, the clock tower comprises the center of the city. The original clock installed by British had to be wound manually. As it had worn out, the old clock was replaced by a new electronic clock just 12 years back. Apart from being the heart of Ludhiana city, the clock tower also suffices as the pivot of all commercial and political activities of Ludhiana. Even though there are many clock towers both in Punjab as well as in other states of India, Ludhiana is especially renowned as the city of Ghanta Ghar. This clock tower could be seen from almost every where in Ludhiana in early 20th century and people used to match their watches with the time of Clock Tower. But now, as the city is submerged with innumerable sky scrappers, the visibility of Ghanta Ghar has been limited. This clock tower is today maintained by the Ludhiana Municipal Corporation. R. K. Knitwear ( P ) Ltd. Phase 1, Urban Estate, Dugri, Ludhiana, PB. Phase 4, Focal Point, Ludhiana, PB. 1st Floor, Sohan Palace, Opp.